Seems like that would end up being similar to a sweet roll dough(cinnamon rolls, etc), which usually bake at around 350F, or so. Sometimes, even a little lower. You always have to keep an eye on how fast these rich, sweet doughs are browning. Even though I bake my favorite cinnamon rolls quite often(or used to), I watched them very closely, each time, to prevent over browning. You also have to make sure the oven is well preheated so the bottom heating element doesn't turn on too often. That causes the burned bottoms. 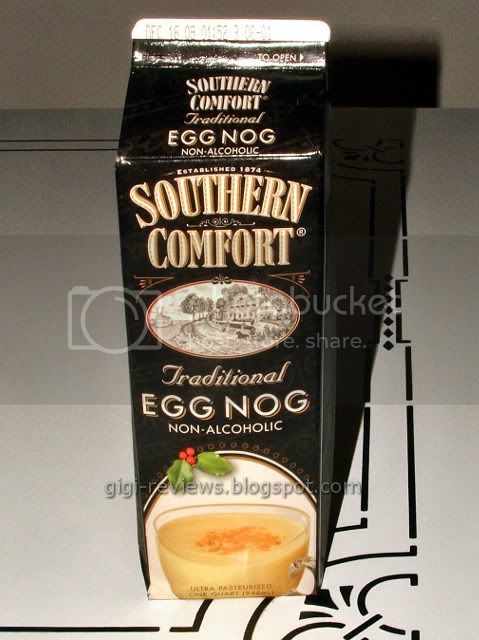 Besides the thickeners(guar gum, carrageenan, etc), commercial egg nog is made with very common ingredients. Milk/cream, egg yolks, sugar/corn syrup, and spices/flavorings. Very easy to make at home(minus the thickeners), and just as delicious.